Are you considering switching suppliers? Take a look at the tariffs Green Star Energy can offer you, plus check out what their customers are saying. Launched in 2013, Green Star Energy aims to provide a new and fresh approach to energy. As an independent supplier, they can afford to keep an eye on the market and provide their customers with lower costs. They claim that renewable energy isn’t a second thought for them, which is why their green energy tariff is 100% renewable and affordable. For an idea of the estimated costs, you can expect from Green Star Energy, see the table below. They can offer you not only variable rate tariffs but also fixed rate tariffs which can fix your costs for up to 4 years. Fixed: A fixed rate means that the cost of your energy is fixed, usually for a certain amount of time. Variable: Variable rates mean that the cost of your energy increases and decreases as the wholesale energy market does, meaning that you could potentially make some savings on your monthly bill. As well as providing their customers with energy and various tariffs depending on your needs, they can also offer you these benefits. Green Star Energy has a reward system for customers on specific tariffs. When you are on this programme, Green Star Energy will start giving you points every three months, which you can redeem for products. You will also get a power bank for your gadgets. When it comes to customer support, Green Star Energy has mixed reviews. Some customers state that they had had no issues with Green Star Energy, especially when it came to switching suppliers, but others have said they have run into problems further down the line. The process was very easy and I have received good customer support. I agree with the other people who are complaining the services are a sham the customer service is diabolical. After stating that I would be moving accounts to another supplier, I was informed that I could not move as we owed money even though we pay by DD and they had not sent an estimated or actual bill. Green Star Energy has an average 3-star rating on Trustpilot, with 44% positive reviews, 32% negative and the rest in the middle. They have been praised for the ease that customers experienced switching providers to them, however, once customers have wanted to switch away, they have been running into problems. Although online reviews aren’t always accurate, you should still consider them when deciding which supplier you want to switch to. Very easy switch over. No supply interruptions. Courteous and helpful staff when I rang about having two accounts set-up. We have also left GreenStar Energy and why they say it may take up to 6 weeks to do it, is because the moment you say you are leaving they put you on their premium Tariff which is their highest charging rate. It’s to squeeze every last penny out of you before you leave them. Finally, Green Star Energy is an excellent fit for customers that would like to benefit from the perks from this supplier as they are getting their energy at a discount rate. 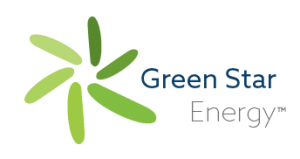 Green Star Energy is a great fit for customers that would like to benefit from the perks from this supplier as they are getting their energy at a discount rate.